Some of the most awe-inspiring photography comes from the popularized form of straight photography, or as we know it today, street photography. It exposes you to the raw nature of daily city life. It’s the original reality show, which is probably why we are so attracted to this form of artistic photography. Let’s say you see a monochrome picture of a man looking at his watch while waiting for the light to turn green. He is composed perfectly within the city background. You can’t help but to be intrigued by your own prying questions, such as, what is he thinking? And you guess his thought is, “I’m late.” It is the curiosity that captures us to this form art. City life usually passes us by, and unfortunately we do not have the time to really stop and appreciate our surroundings. It is not our fault; we just have priorities. The street photographer helps to slow everything in our urban playground down and lets us catch a glimpse of the good, the bad and the ugly of the cities we call home. 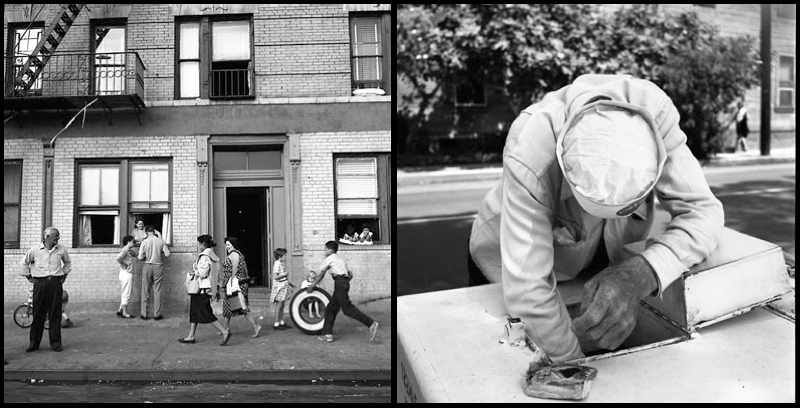 A legendary example of this kind of photographer is Vivian Maier, the French nanny with an awesome eye for life. Yes, you read correctly, a nanny, who would spend a good part of her free days capturing the city life around her during and after the 1950s. 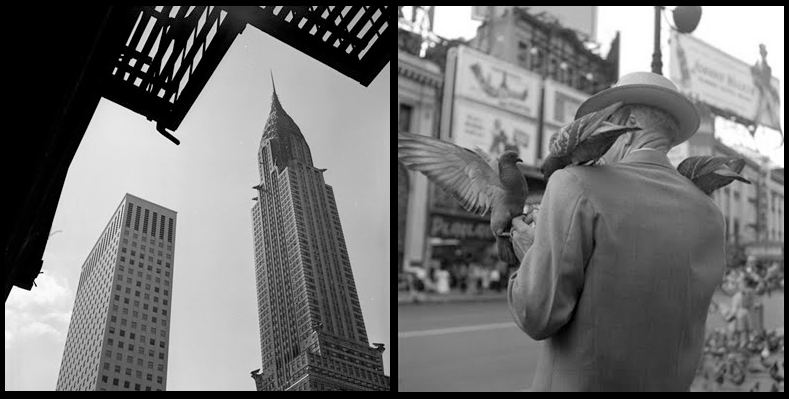 Chicago was her play-place, yet she traveled and took snapshots of the world as well. She embraced the city and used her camera as if she was historically archiving important city moments. She had a gift that takes some photographers half a lifetime to achieve. Unfortunately Miss Miers passed away in 2009 at the age of 83, but her legacy remains. There are over 100,000 prints and undeveloped films that are still being archived and recorded by a man who purchased a box containing over 400 of Vivian’s undiscovered masterpieces only a year after her death, and to his surprise that was just the beginning…it was the first box of many. John Maloof , a real estate agent and flee market fan, discovered Maier’s legacy while writing a book about a Chicago neighborhood. During one of his flee market adventures, he discovered the box filled with several medium-format prints of the city and decided to purchase it. To his surprise he was uncovering pictures of moments that were breathtaking. John was able to track down the rest of the pictures and more on Miss Maier. He now spends all his days developing, archiving and uncovering some of the amazing work left behind in storage. 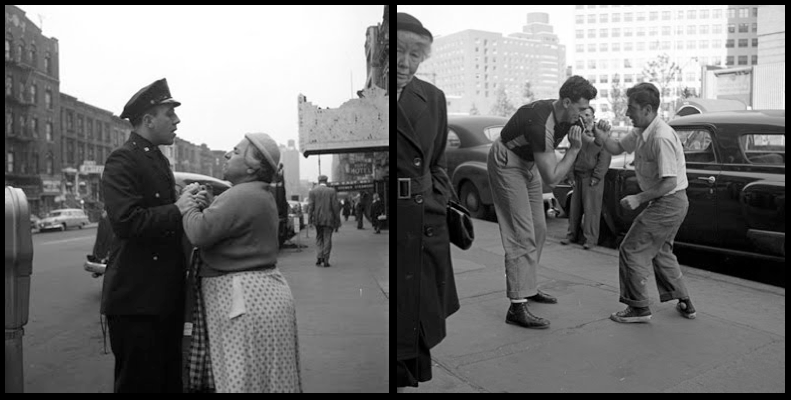 He will not stop there, he wants the world to know who this incredible street photographer was and is currently working on developing a Vivian Miers documentary : Finding Vivian Maier. 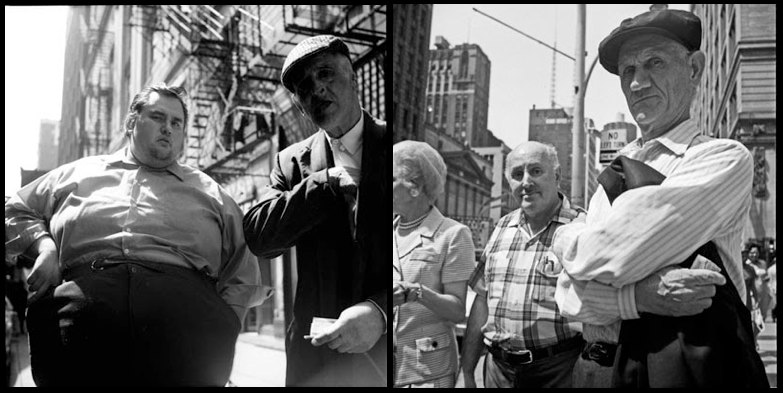 Just recently in January 2011 the first ever Vivian Maier gallery opened its doors, displaying original prints from this not-so-famous, photographer. The gallery is set to run for 3 months, up to April 3, 2010, at The Chicago Cultural Center. To the French nanny, this ****visual index is for you….